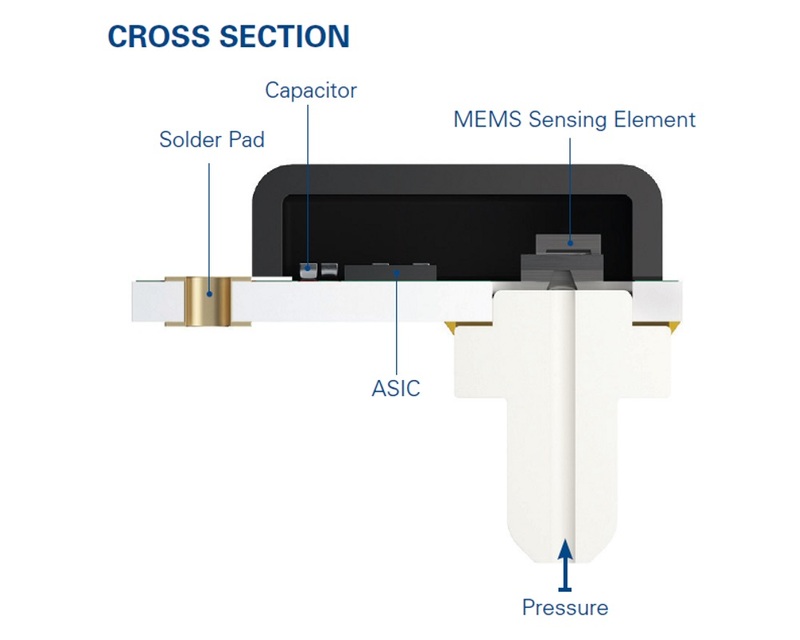 The TVC series is a fully compensated harsh media pressure sensor from Merit SensorTM designed to handle today's toughest pressure sensing environments. 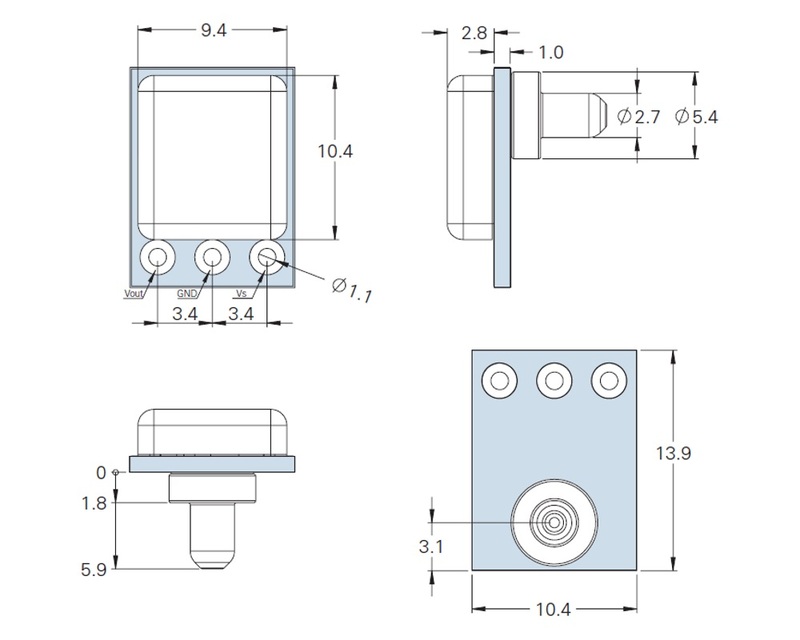 This pressure sensor series offers a pressure range from 15psi to 300psi, over a broad temperature range of −40°C to +150°C, with an accuracy of ±2.5%. 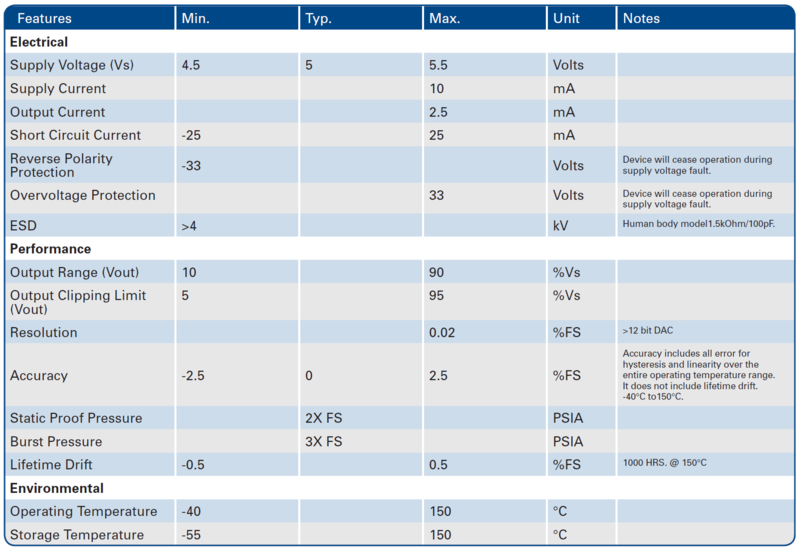 The only requirement to operate the TVC series is a single 5VDC supply, and no external components required for operation. 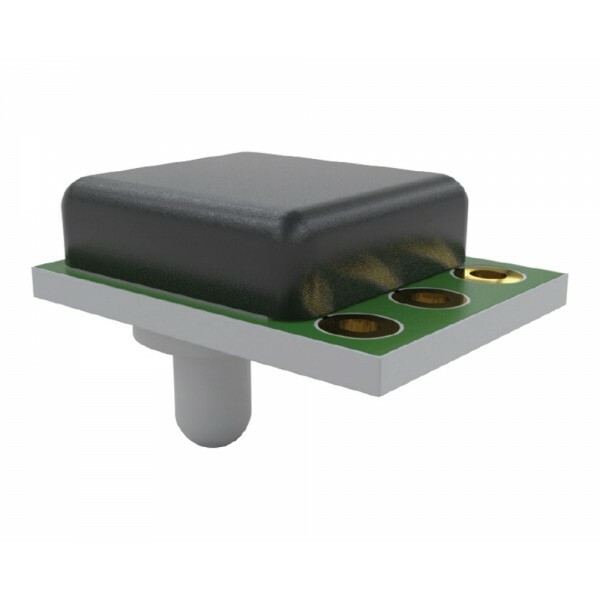 The unique pressure port isolates on board electronics, and the three wetted materials of silicon, glass and ceramic. 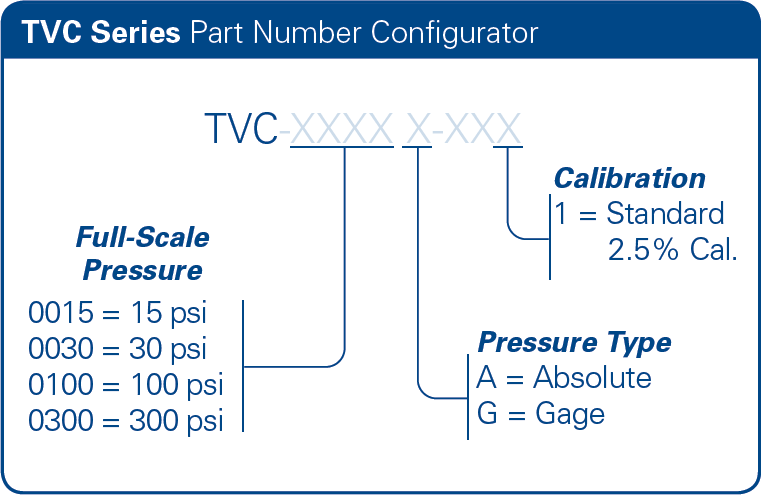 The TVC series is able to withstand a variety of harsh media, such as fuel and are able to measure fuel vapour at low pressures or refrigerant gas at high pressure. 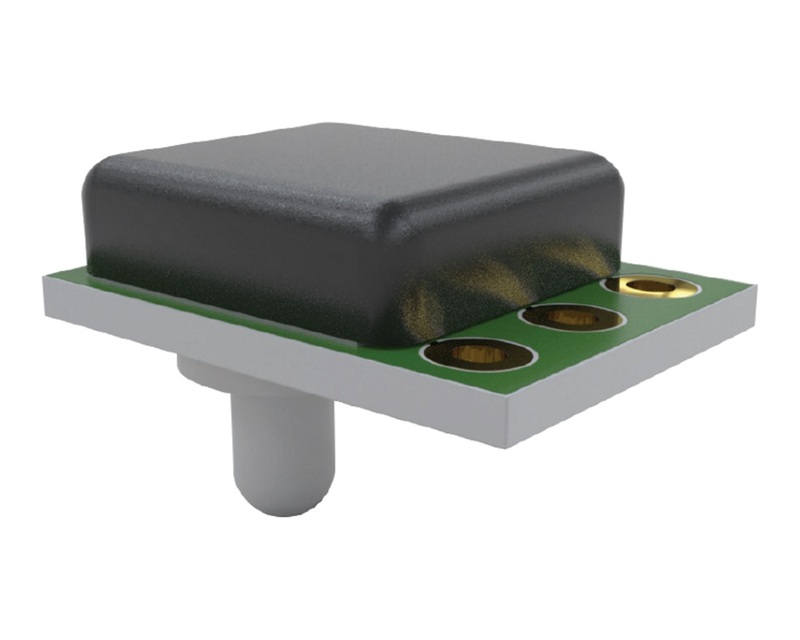 Additional Features Fully compensated harsh media pressure sensor which is designed to handle today's toughest pressure sensing environments. The only requirement to operate the TVC series is a single 5VDC supply, and no external components required for operation. The unique pressure port isolates on board electronics, and the three wetted materials of silicon, glass, and ceramic. Able to withstand a variety of harsh media, such as fuel and are able to measure fuel vapour at low pressures or refrigerant gas at high pressure.